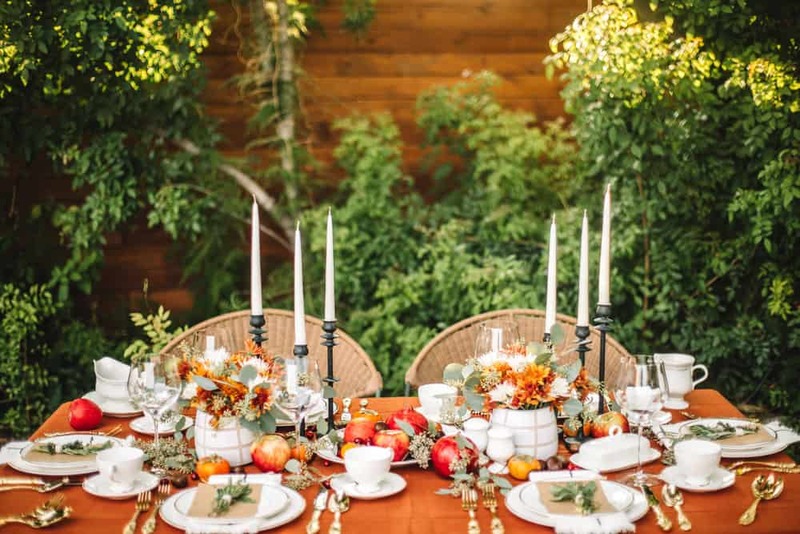 How to set a beautiful Thanksgiving table!? I got you! 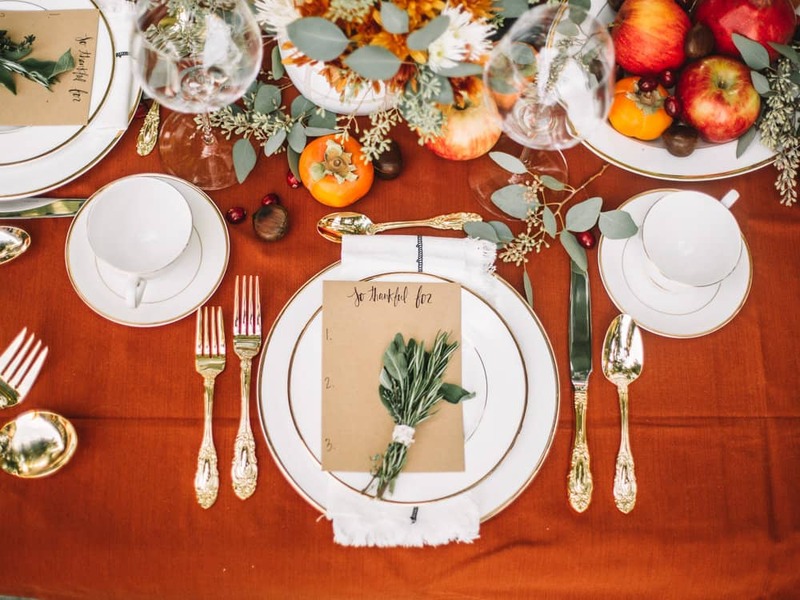 I love it when my Thanksgiving table setting has a classic, timeless look laced with a few modern touches. Basically if Joanna Gaines and Martha Stewart were to decorate a table together. 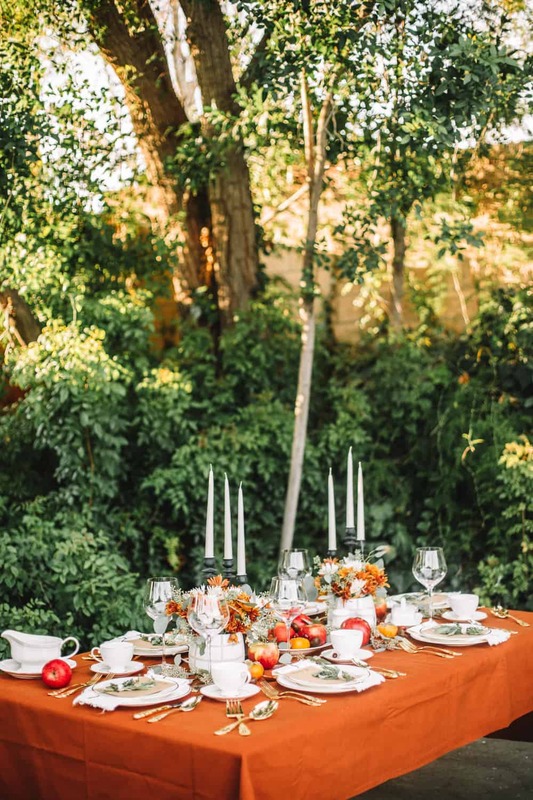 This post shows you how to set the table, easy DIY place setting and napkin treatments and much more! Happy Thanksgiving everyone! Grab all of the shopping details on The Inspired Home! My favorite part about Thanksgiving?! Well… it’s actually the night before! Yes, that might sound a little weird but let me explain why! I usually spend the evening before with family, cooking our little hearts away and prepping for the big feast. For as long as I can remember, my mom always gave me the task of setting the table. When I was a little one, this usually meant digging into the linen closet and whipping up whatever I wanted. Today, that looks a little different but still one of my favorite parts of the holiday! The night before is so fun because everyone is relaxed and ready for a fun day of family time and eating. We usually get to taste test a few of my mom’s recipes and my Dad is running around picking up last minute groceries. 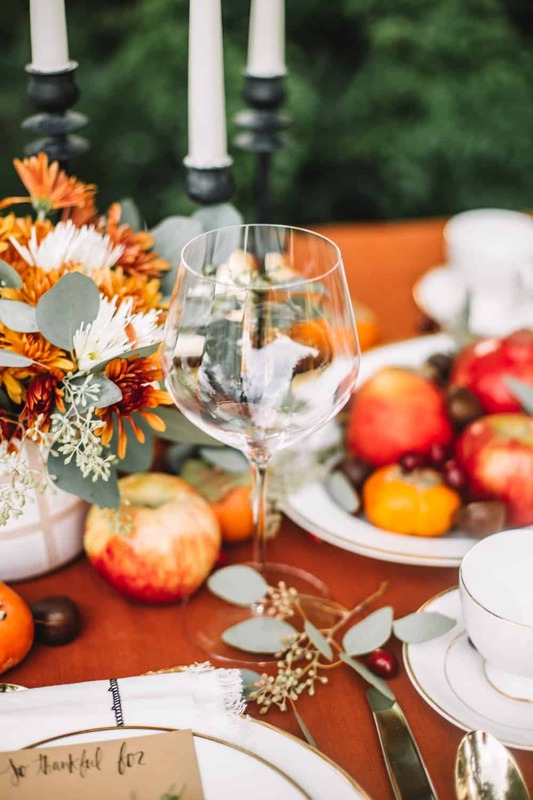 One of my favorite things to do on Thanksgiving Eve is to pour myself a hearty glass of wine (let’s be real probably the bottle) and chat away with family while dressing up my table for the big event. Setting a table is quite calming for me. 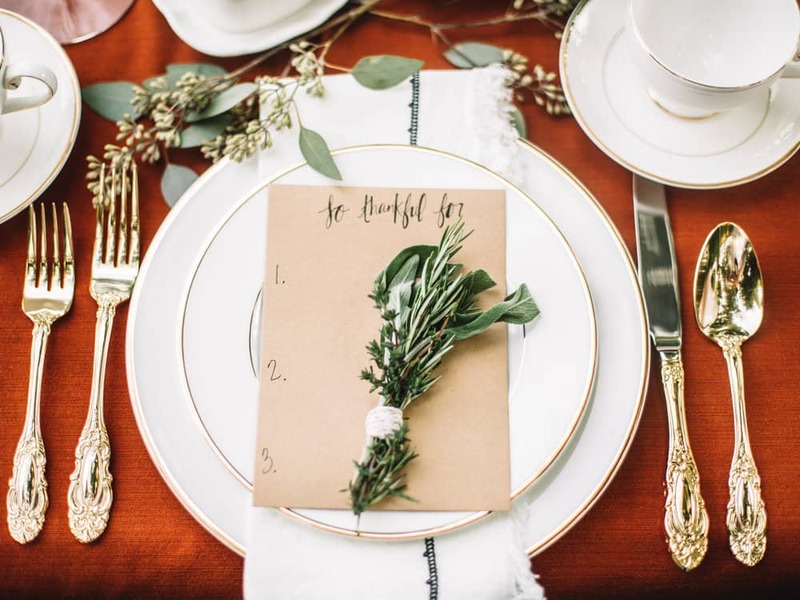 I love mixing old decor with new, playing around with a color palette and giving everyone a little something personalized on his or her place setting. 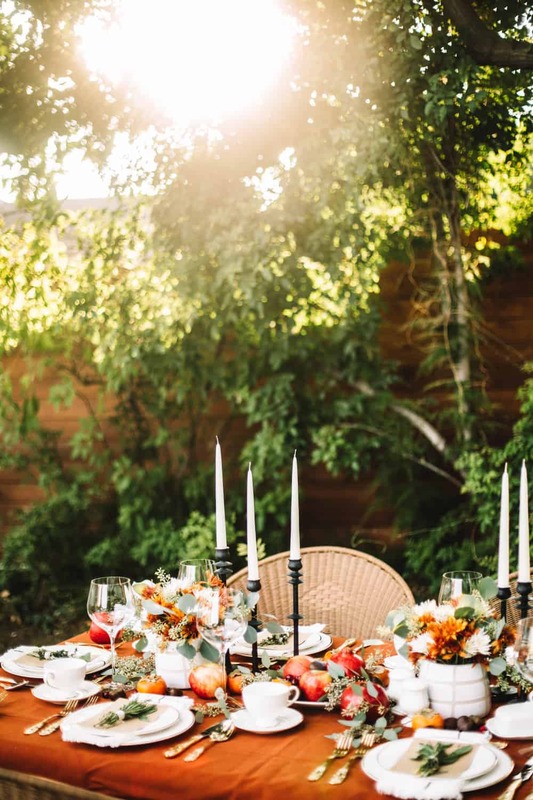 Having a well-dressed table makes anyone coming over feel incredibly special. It’s a show-stopping centerpiece to any party. 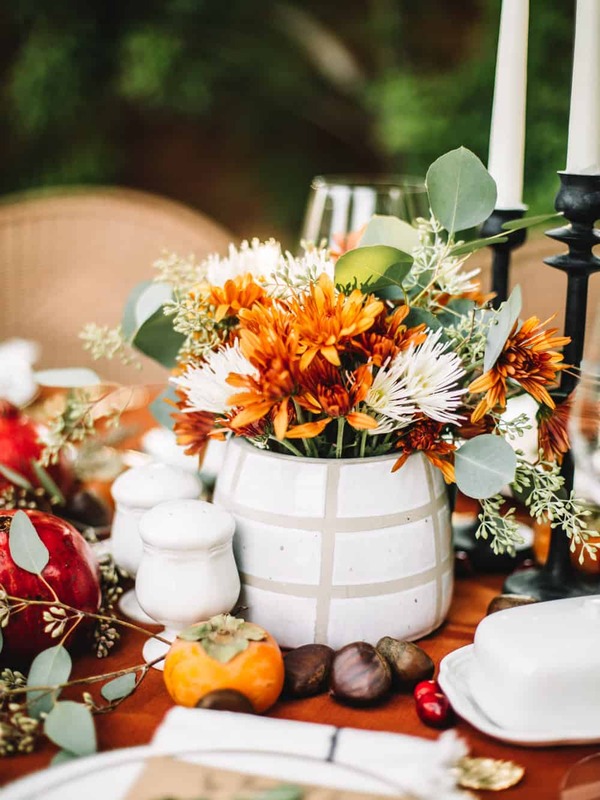 When it comes to my Thanksgiving tablescape I tend to keep things traditional. Any other holiday I usually try to jazz things up with a new look but Thanksgiving is a classic for me. If you thought for a minute that traditional means ‘boring’ think again sister! I took a traditional foundation with elegant gold and white place settings and vintage looking gold flatware and added in some more modern farmhouse touches. 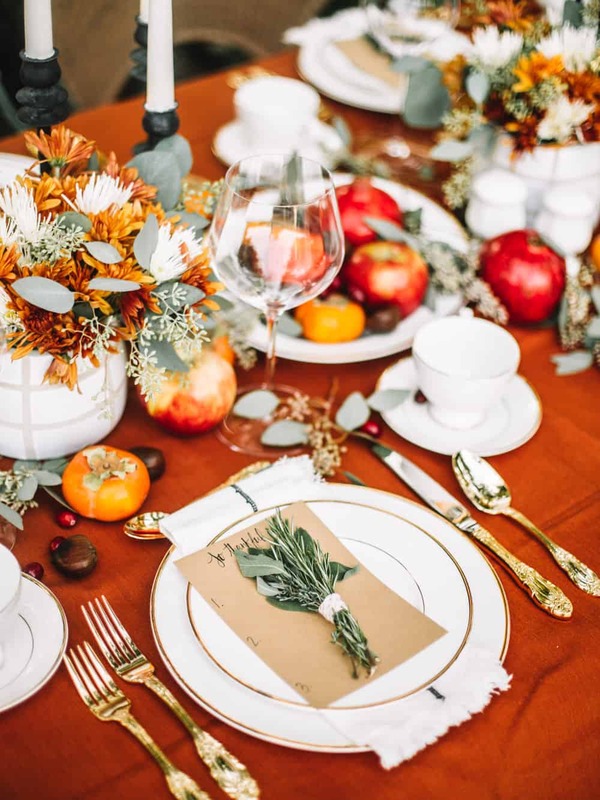 Having staple pieces like a hostess table set, gold and white dishes and gold flatware can act as an anchor to ANY holiday table, not just for Thanksgiving. Find out all of the shopping details from this post on The Inspired Home! I love to play around with easier things like flowers, greenery, and candles for a contemporary twist. These things are great to experiment with because they aren’t permanent! I wanted my traditional table to feel elegant but with a few fun modern twists. I was channeling Joanna Gaines traditional farmhouse look, laced with Emily Henderson funky! The Waterford red wine glasses we used are wonderful on their own but the detailing gave the look an elevated, modern feel. For Thanksgiving, I think you can totally get a little cheesy with the name card/personalized place setting. We put out little cards to say what we are Thankful for. After each person reads off what they are thankful for we will all take a celebratory sip! Not only are we relishing in the holiday moment but we found away to sneak in a fun dinner party game! 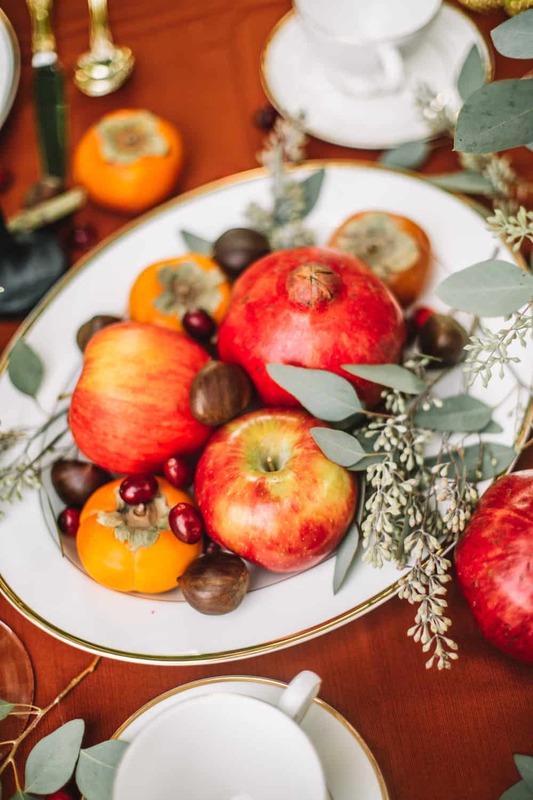 I would love to hear about your favorite Thanksgiving moments and traditions in the comments below!